My son adores Mickey Mouse. He just LOVES that guy, and this Disney obsessed Mom could not be more thrilled with how that turned out after I failed so miserably forcing Tinker Bell on my daughter. So, apps featuring his favorite character always get his attention, and these new apps from Disney Imagicademy are no exception. The apps are part of a comprehensive learning program geared towards children from 3 to 8 that will cover all of the bases from math, science and reading to even social and emotional skills. They hope to inspire a natural love of learning and encourage kids to learn by creating, making and doing. 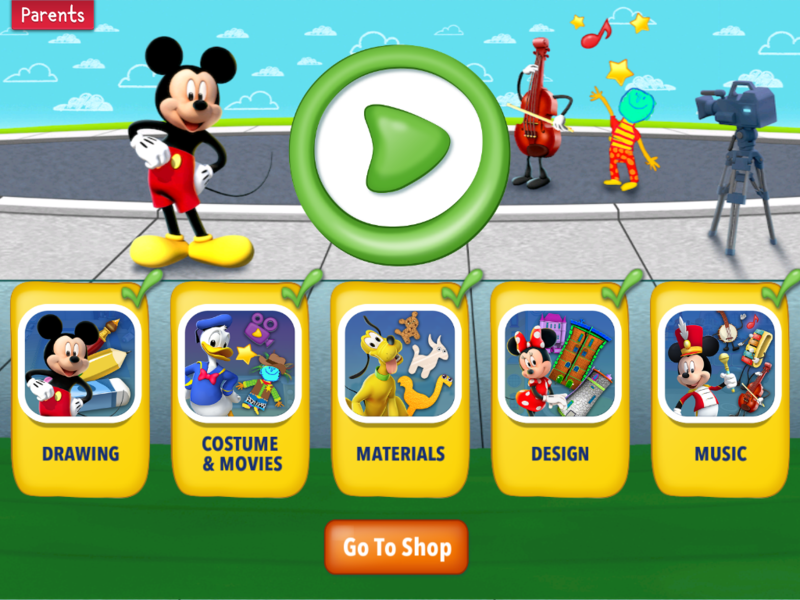 They have currently released 2 apps, available now, in the platform; Mickey’s Magical Math World and Mickey’s Magical Arts World. 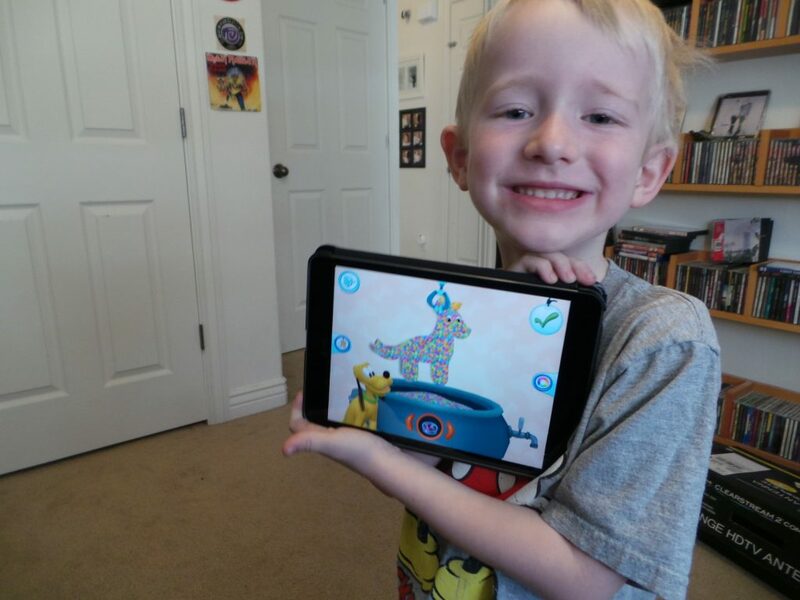 In the interest of full disclosure, I was given a code for the Arts World as part of this review, but I fully paid for Math World with my own money after my son loved the Arts World app so much. 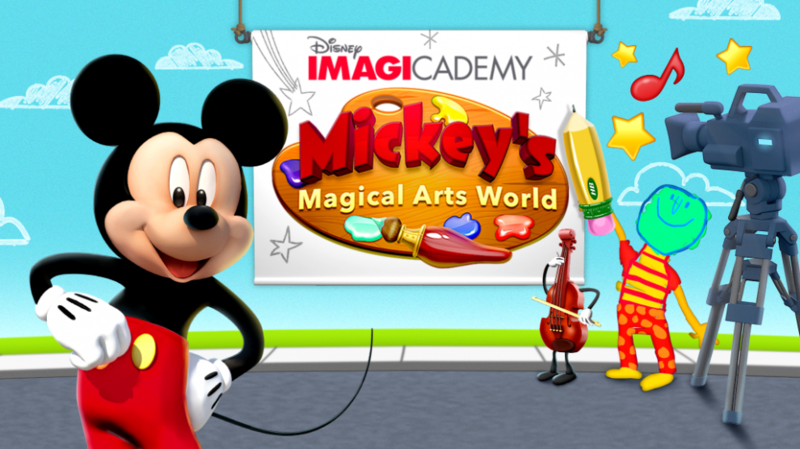 Disney Imagicademy apps are currently available exclusively for iPad and can currently be found on Apple’s App Store in the Kids, Education and Entertainment categories. There is also a companion parents app where you can check your kids progress through the games and see the skills they are mastering. Both of my kids have always been incredibly creative, but as someone who couldn’t throw a craft together if her life depended on it, I have always failed to find a great outlet for them to explore their creativity. Sure, I give them a video camera and tell them to have at it and create movies, or some paper and markers, but #SorryNotSorry glitter is just not going to cross the threshold of this house. So, while I do occasionally let them bust out the scissors and glue, I really love when they can find an app to express their creativity in ways I could never provide. Mickey’s Magical Arts World has 5 areas (unlocking all areas will cost you less than a game on a console, but you can unlock individual areas for less as your budget allows). The first area allows you to make a sort of puppet. You decorate his face, body, etc with whatever you want. There are a ton of different brushes, colors, and patterns to choose from. Here’s where the app takes the craft to a whole new level though, you can then take the puppet you’ve created and insert him into various real live Disney cartoons! You can watch as Mickey pulls your puppet out of a hat, or have your puppet get arrested by Goofy. Prior to the show, you get your puppet ready with hair, costumes, and more. What I love about this, is that it shows how you can bring your creations to life, which is an excellent skill when trying to teach your children STEM concepts. The other areas can help you compose music, design buildings, and basically let your creativity run wild! 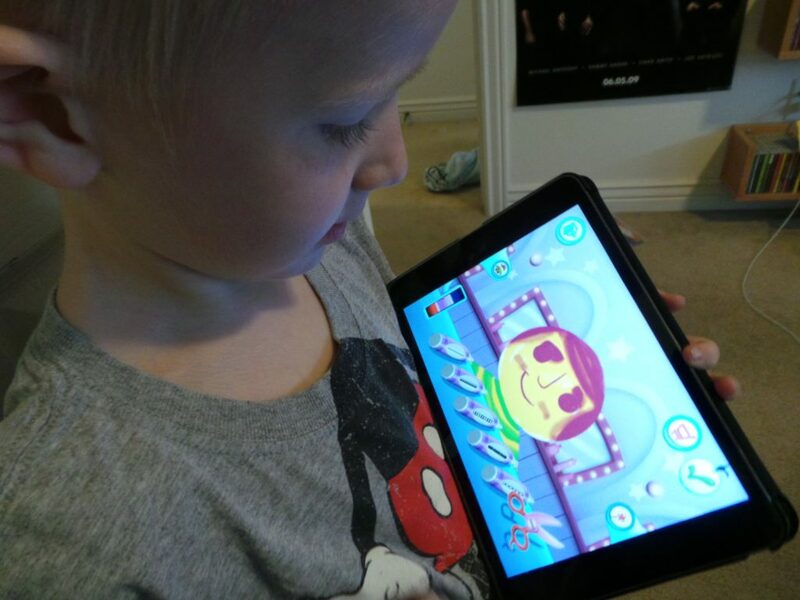 My son really loves being able to interact with Mickey and the whole gang through this app, and I love the skills that he is learning through it. Definitely go check it out! Pin it to help you remember to install it later!